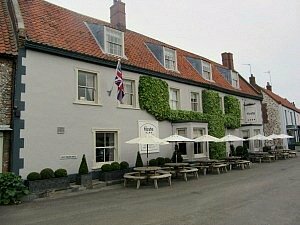 The Bedingfeld Arms Oxborough is a wonderfully relaxed, cosy, welcoming and dog friendly coaching inn right in the middle of rural West Norfolk. 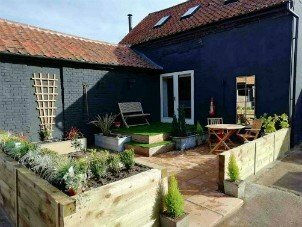 Situated just outside Swaffham, it’s ideally placed to visit the excellent National Trust property of Oxburgh Hall, and also very close to the attractive Gooderstone water gardens, as well at being near to Thetford Forest and has lots of lovely walks around about. 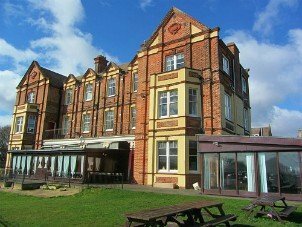 In fact Explore Norfolk UK organises walking holidays, one such holiday being the "Ice Age to Royalty" Norfolk Stately Homes walk which takes in Oxburgh Hall and Sandringham House as well as some lovely walks. 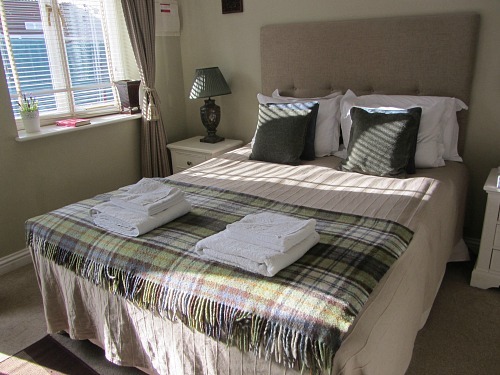 With this particular walk, you will be staying here at the Bedingfeld Arms. 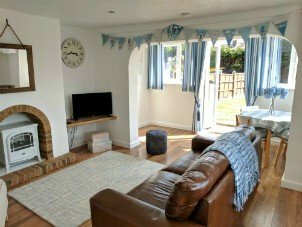 The minute you walk in the door you’re greeted by friendly staff, welcoming leather sofas, a homely atmosphere, lovely light rooms and a Pugin stone fireplace often with a fire blazing away. And in the winter months, there’s nothing nicer than sitting up close to the warmth of a roaring log fire with a drink in your hand! 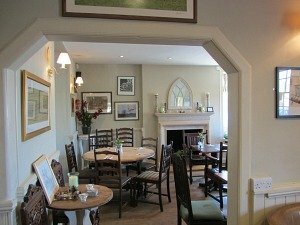 The Bedingfeld Arms Oxborough is owned by local couple Stephen and Catkin Parker, and you couldn’t ask for a more convivial couple than these two. 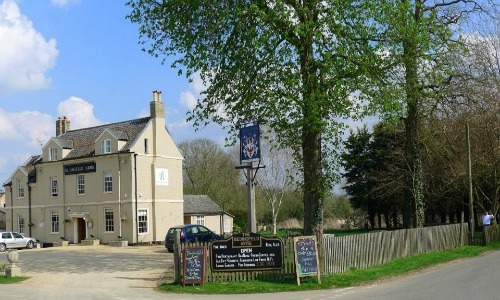 As a coaching inn, the Bedingfeld Arms Oxborough dates back to 1783. If you take a moment to stand outside the pub and look towards Oxburgh Hall, you can just imagine it being used by passing noblemen visiting this wonderful manor house. Stephen and Catkin bought the Bedingfeld Arms Oxborough in 2012 and have spent a long time renovating and refurbishing it to a high standard. Stephen has a stone masonary business, and much of this is evident in the pub, where they have used the stone in many of the fireplaces and also for the seating in the garden. 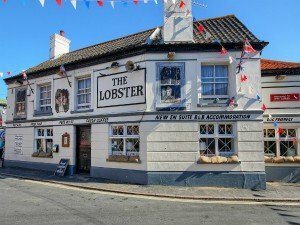 Overall, this pub is a really excellent place to eat and to stay. 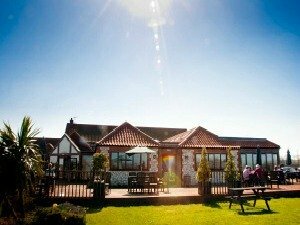 You can read more reviews of the Bedingfeld Arms here. 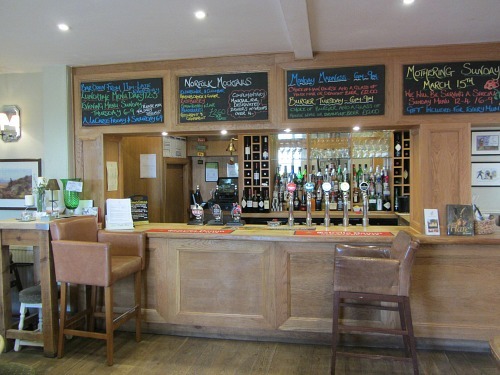 The whole of the dining and bar area has a wonderfully light and airy feel to it, and it just oozes relaxation. I love walking into this pub, it just has a "feel good" factor about it. 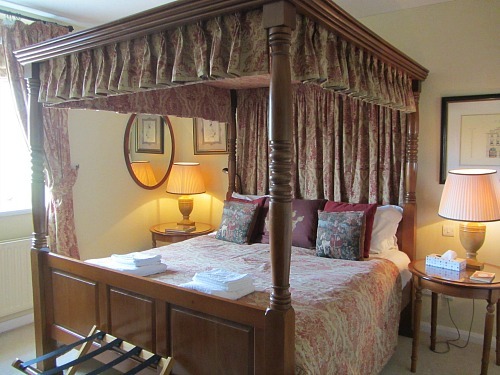 There are 9 tastefully decorated bedrooms, all ensuite and with all the usual TV’s, free wifi, coffee and tea making facilities, and two of these have superking four poster beds. 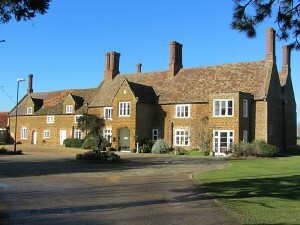 So if you want a bit of luxury, this is where you need to stay! Why not check availabilty now? 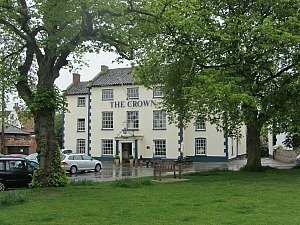 This is definitely an excellent dog friendly pub and no dog is too much trouble! 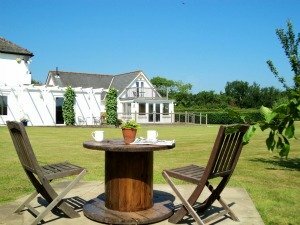 If you’re staying the night, then the dog friendly rooms are in the converted stable block, a few steps away from the main building. They have two of these rooms out of the nine rooms available. 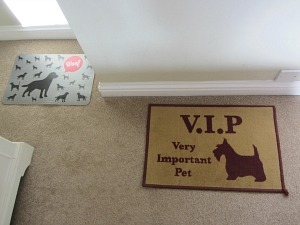 Your dog even has its own mat and they can sleep with you in the room, but on one of their own dog beds please!! 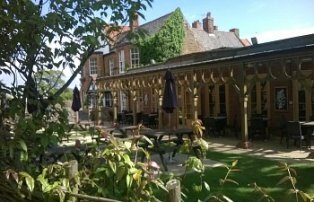 Like many places that take dogs, the Bedingfeld Arms Oxborough does charge £8 per dog per night. Don’t forget that rooms which have had dogs sleeping in them do need to be deep cleaned once you’ve left! The rooms in the stable block all have under floor heating, another luxury which your dogs, and possibly you, will love! 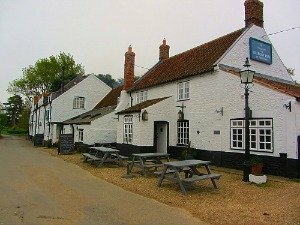 And when you're thinking about going to bed, or getting up in the morning, there are places where you can walk your dogs away from the pub which is always nice to know. During the day, there are lots of lovely walks close to The Bedingfeld Arms, one particularly nice one is a circular walk that takes in Oxburgh Hall. Another is via Gooderstone Water Gardens, or you could take your car and stop off along the many tracks through the woods nearby. 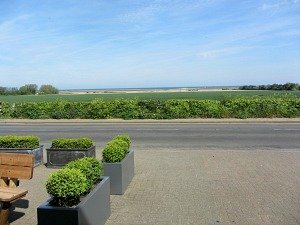 Or if you wanted to go a little further, you could drive to Thompson, near Watton, and walk the fantastic Pingo trail, or perhaps just join part of the Peddars Way close to Swaffham. There are a whole host of options. The staff will always be very happy to give you more information. Yes, you can bring your dog along while you have a bite to eat and yes it is good food! And they even provide doggie snacks and chews behind the bar if you ask. There is always a water bowl at the garden entrance for your beloved dog too, very thoughtful. However, they aren’t allowed into the restaurant, but they are allowed in the bar area. 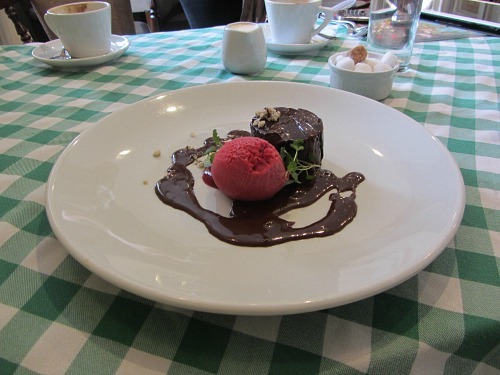 This blackcurrant sorbet with a chocolate mousse was delicious!! There’s a good choice of food from light meals to something more substantial if you would rather. You definitely won’t go hungry at the Bedingfeld Arms. 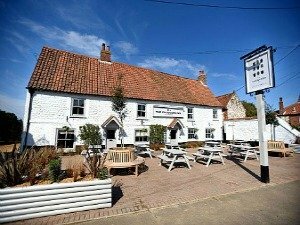 The Bedingfeld Arms Oxborough is another of our featured dog friendly coaching inns/pubs that isn’t on the coast, the other being the Dabbling Duck in Great Massingham. 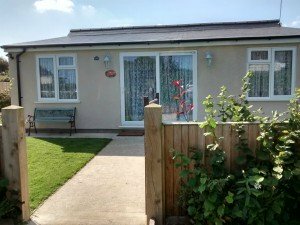 You can find out our other options for dog friendly accommodation here. 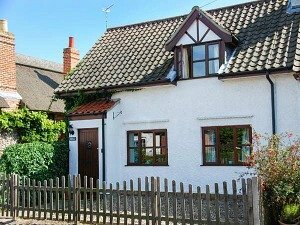 Oxborough village is right in the middle of the Brecks, a slightly less well known area of Norfolk, but has beautiful and diverse countryside. 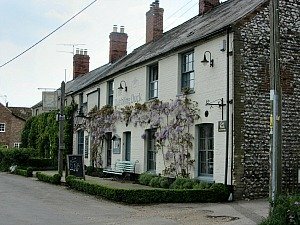 The village itself doesn’t have any shops, only residential houses, but it does have an ancient church with a history and a beautiful National Trust property. St John’s Church which is now a ruin, but in 1948 the tower and spire collapsed under the weight of the bells and destroyed the south nave. It also has an incredibly rare terracotta tomb, unique to England. Close to the Peddars Way. If you’re walking the Peddars Way, you would need to get transport if you wanted to stay here for the night.